So began the first paragraph of the story on page one of The Sydney Morning Herald of Wednesday July 11 2012. The article recounted how 18 year old Thomas had died the prior Monday after being king hit in Kings Cross that weekend. The day before, his distraught parents had shown incredible fortitude to front a media conference to beg for information about their son’s attacker. Ralph and Cathy Kelly had announced that they had decided to donate Thomas’ organs in the hope that some good could come out of his death. Little did they know that their family’s tragedy would not only help sustain another’s soul, but reshape alcohol policy in NSW, possibly forever. On that Tuesday two years ago I’d been seconded as The Sydney Morning Herald’s news editor for a day. It wasn’t hard to glean that this was a story that was going to resonate very loudly with our readership and deserved prominent treatment. Private school boy out on his own, in the Cross for the first time with a new girlfriend. To use the cliché, it was a story to chill the heart of every parent. But it was also a story quite clearly with immense policy implications for the NSW Government, my chief area of responsibility. Alcohol-related violence had been an issue for years in NSW and calls for change to licensing laws had been getting ever louder. The imposition of lockouts and earlier closing times in Newcastle had been hailed a great success. And Sydney’s emergency service workers – the police, the nurses and ambulance and emergency room workers – who comprised the Last Drinks Coalition had been calling for them. The NSW Government had resisted stubbornly, until the Kellys’ tragedy threatened to provide the momentum for that change. It didn’t – not yet. On returning to my usual job as State Political Editor I remember repeatedly trying to buttonhole the responsible Minister George Souris, who was at that time Hospitality Minister, about what the Government’s response would be. At first everyone was ducking for cover. It took a week to track down Souris – finally at a rugby event he was launching at the Rocks. What he told me was quite shocking, given the level of community sentiment around this event. What he told me was: “I want to be careful not to create a scenario in Sydney where we drive a lot of the industry underground”. He went on: “Because an underground alcohol industry also lends itself to more illegality. Illegal gambling, drugs, and alcohol is not a good combination to drive underground. And together with that comes all sorts of potential corruption.” How ironic. Souris described Thomas’ death as very unfortunate, but also pointed out that the assault occurred at the relatively early time of 10pm. It wasn’t at a licensed venue, or at the front door of a licensed venue. Premier Barry O’Farrell repeatedly rejected calls for lockouts arguing against what he called ‘a one-size-fits-all’ solution. How hollow those words sound today. As we know, the Government did eventually respond – with drinks restrictions, first in large Kings Cross venues, and a promise to improve late night transport and introduce ID scanners to keep trouble makers out. But it would not budge on a trial of lockouts. That, tragically, took a second alcohol-related death – of Daniel Christie in January this year after being king hit on New Year’s Eve. You all know the rest. Furious media campaigning, a Premier harshly criticised in the press over his inaction and not ending his holidays. Then, finally, a commitment to a trial of measures health professionals and those who see firsthand the impact of alcohol fuelled violence had been pleading for, for years. That it took the deaths of two young men to force the Government into action is absolutely damning. It will also be remembered as a shameful chapter in public policy formulation in NSW, I have no doubt. The change was achieved not by careful consideration of the arguments of many people in this room – researchers and people at the front line – but by such pressure being applied to the Government that it was forced to act or potentially face a massive electoral backlash. That is the antithesis of good leadership and the epitome of cowardice. There are of course many theories as to why this was the case. It’s the influence of the alcohol lobby, which had in fact thrown many thousands of dollars to the State Liberal Government while it was in Opposition shortly before last election. It’s a conservative Government not wanting to trample on individual rights. Or it’s the electoral unpopularity of telling Australians they can’t get a drink after a certain hour. Each of these no doubt played some part and each presents its own difficulties for Governments confronting change. But none is an excuse for inaction in the face of overwhelming public and professional sentiment. When he was under pressure in the media, O’Farrell grasped a statistical lifeline. It showed that the trend for non-domestic alcohol related assaults in Sydney was down historically. He was right, as the Director of NSW Bureau of Crime Statistics and Research Dr Don Weatherburn explained then and has done many times since, alcohol related violence has steadily fallen in Sydney since 2008. The argument from O’Farrell, and some in the media, was that this undermined the case for further action. Things were improving they said, and were likely to continue to improve so lockouts just weren’t needed. He was right about the trend, but the Premier’s argument did not countenance that further action could further reduce the risk of alcohol fuelled violence. This is a message that just did not get through to the Government initially. So have the lockouts worked? Weatherburn says it’s impossible to tell quite yet. He reckons we need six months’ worth of data – potentially over summer – the big drinking period – to get a real reading on things (Editors Note: NSW Bureau of Crime Statistics and Research has now made its latest available statistics publically available. See news report here). Of course, there’s only so much Governments can do. On a recent Sunday afternoon a police media alert arrived in my email inbox with the headline ‘Man charged and one in hospital following glassing in Cronulla’. At ten to one on Sunday morning a 22 year old was hit in the face with a glass by a 35 year old at a nightclub in Cronulla. The 22 year old was taken to hospital to be treated for “deep cuts to his face”. He will probably be scarred for life. The older man was charged with wounding with intent to cause grievous bodily harm. His life too may have just changed in an instant. So these instances will still happen, despite a sharp decline in glassings that had been achieved since the former Labor Government began its “name and shame” list for violent venues, which introduced restrictions on some of the most violent venues, such as a ban on glassware after midnight. As they say, you can’t legislate stupidity out of existence. But with intoxication so deeply ingrained in our culture, public policy making in this area is diabolically difficult and complex, requiring a range of additional measures to assure success. These considerations go beyond the relatively narrow focus on opening hours contained in the most recent reforms. They of course encompass planning controls for our councils. 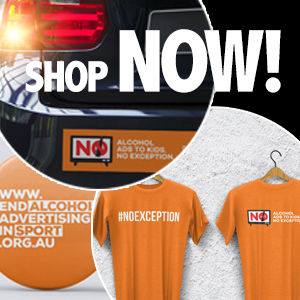 The considerations should also take into account advertising controls and the availability of alcohol. 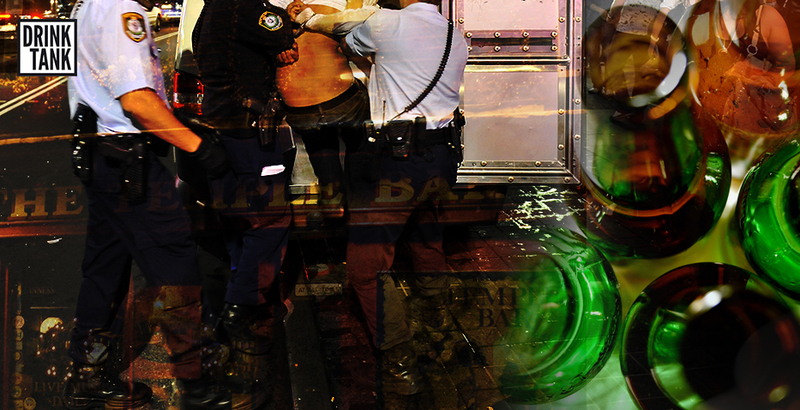 We’ve long known alcohol is a product that enriches our society, but also damages it. It’s a substantial cause of ill health, injury and premature death in Australia contributing to 5,500 deaths and 157,000 hospitalisations every single year. It’s the seventh most important risk factor for death and injury in Australia. But with the proliferation of venues serving alcohol and the advertising supporting its sale, perhaps never before has successful public policy in this area been more vital. This is an edited transcript of a speech delivered by Sean Nicholls at the book launch of Stemming the tide of alcohol: Liquor licensing and the public interest held in Sydney during September 2014.